Amicia Glow: MY TOP 10 PRODUCTS I CANNOT LIVE WITHOUT- BEAUTY AND SKIN CARE. MY TOP 10 PRODUCTS I CANNOT LIVE WITHOUT- BEAUTY AND SKIN CARE. We all have those products, beauty and skin care that we just cannot be without. Whilst I have an 'impressive' makeup collection and a drawer full of skin care products that could probably take me into NEXT Summer I have complied a list of my top 10 products that I cannot live without. These are products that if I was going away for a week or a one night sleep over in a friends, I will have ALL these products in tow with me! So let me tell you what they are and maybe you might see something of interest to you!! So rather than give you these in a top 10 order I'm gonna start from the top literally and by top I mean my fabulous crown LOL. I have the most dry, knotty, thick and rebellious hair and to throw into the mix my locks are curly so when it comes to brushing my hair when it is wet it is a hassle to say the least. I actually dread the thought of it. And because I am an avid dry shampoo user (although I have cut back) I do myself no favours when it comes to product build up and with that comes having to really wash your hair well, I would often shampoo my hair 3 times in one wash to rid it of the many products I would use in my hair depending on how I styled it. OFF COURSE I use me a good conditioner and leave it in for as long as possible but even at that its still not enough to prevent the battle with the hair brush and having to detangle my hair. I had been using the L'Oreal leave in conditioner to help with the knots situation and it did help ever so slightly until I purchased this little beauty. I kinda bought it on a whim one day, I'll be honest boots was having a 3 for 2 sale on their hair care so this found its way into my basket and its been a well used product of mine since. So as not to keep rambling, I use this EVERY time I wash my hair before brushing it. I spray it generously all over my 'mane'. The hair brush glides through my hair like a hot knife through butter. Now be aware that if you are gonna try this and you too have a mop of hair like mine it will take one of two applications for your hair to get used to and adapt to it. 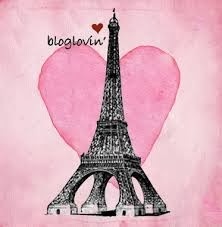 ITS FANTASTIC! And a little tip from me to you if you have long hair always brush your hair from underneath first, trust me, your head will thank you for it!! 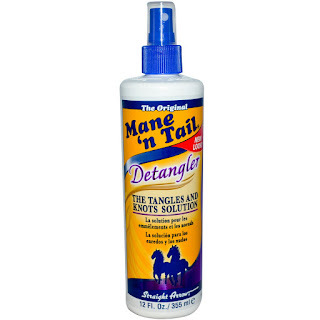 MANE'N'TAIL was originally formulated for horses! Hence the name and I cannot wait to try their shampoo and conditioner. While sticking with the barnet another product I would use every single day is Umberto Giannini CURL FRIENDS scrunching jelly (a nicer word for gel). I use this every single day. 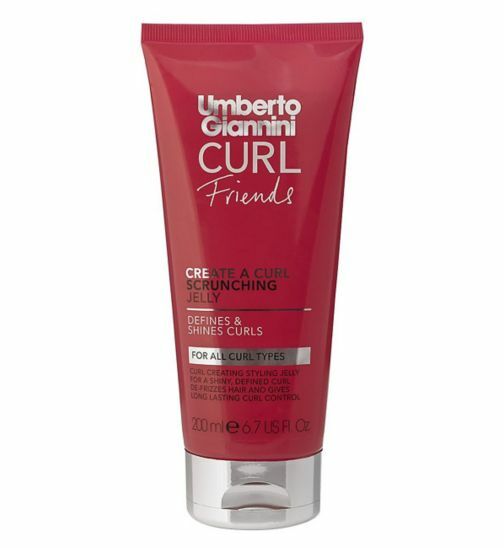 There is not a lot of hair gels designed for curly hair out their on the market. There are enough mousses to beat the band with and a lot of which I have tried and own and use from time to time but this little baby gives me the best result. I use this when my hair is both wet and dry. If I am styling it curly I just towel dry my hair brush it through and then pop about an almond size amount of the gel through my hair from nap to kin and run my fingers through it. I do this a couple of times until my hair is fully dry, letting it dry natural (this would be my everyday hair styling). If I am stepping out I always have this gel in my hand bag to top it up when I'm on the go. According to the bottle it defines and shines curls and that's exactly what it does for me. I catch my hair up in work everyday in a top messy bun and use this gel to tame the crown of my head literally. (I actually keep a bottle in my locker in work) With this product I could get 3 months out of! I don't need a whole lot at all to get the results I want. Plus it smells really nice. Umberto Giannini was the youngest hairdresser ever to win Britains hairdresser of the year. Tragically her lost his life the following year at the tender age of 32 however his legacy still lives on and there are 10 salons in total open across Britain with many more to come. We all know this little gem don't we? As mentioned in a blog post recently I have a lot of love for this moisturiser! Not quite my holy grail but this does wonders my dry and thirsty skin. I have resorted to only using this at night and with the change in the weather I have turned to a lighter moisturiser during the day. I bet all you reading this now has tried this at some stage or has it in YOUR collection. I have never heard anyone say a bad word about Astral. 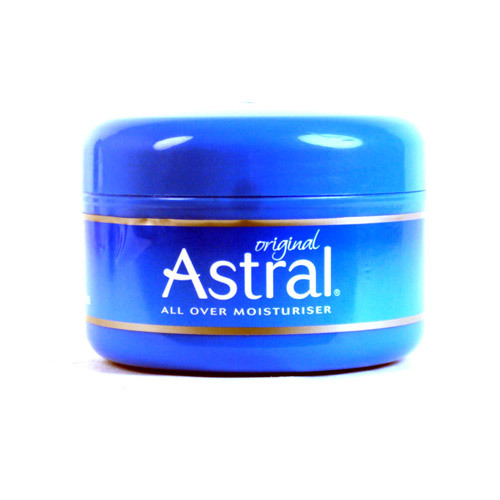 Astral is around since 1950 and it has never changed its formula. I find this quite comforting the women back in 50s where using the exact same product. Timeless. I make no secret of the fact that I am a busy lady. 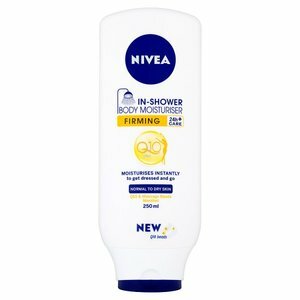 Everyday is normally jam packed so finding a window for the simplest of things can be tough let alone a window for moisturising head to toe after my shower ad waiting for it to seep in etc... so when this came on the market my prayers where answered, in terms of everyday moistursing. 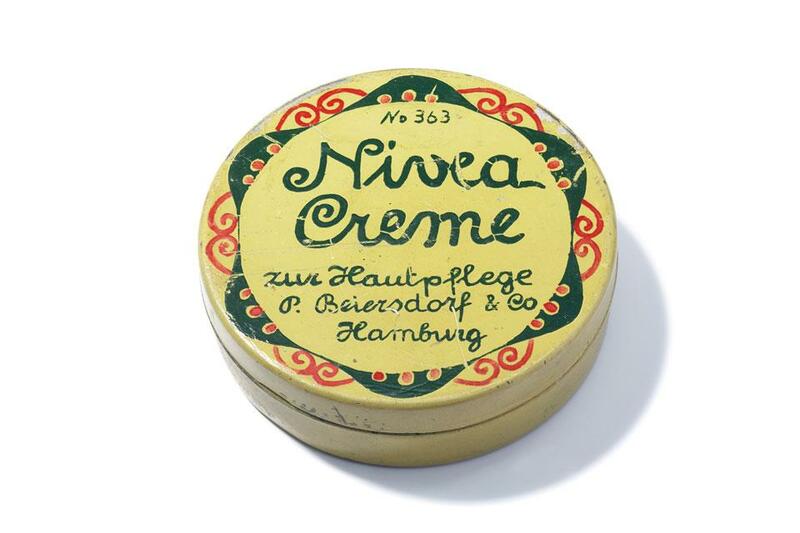 This is the ideal cream for anyone who like me hasn't got the time to dedicate to moisturising your skin. I apply this last in the shower head to toe. 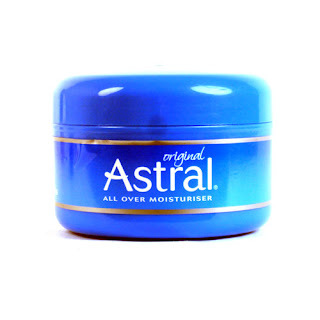 As for the firming part, still remains to be seen but its a gorgeous product. I go through at least 2 a month I've just realized maybe its one of my most bought products! I guess that wouldn't be hard if I am applying it twice daily. 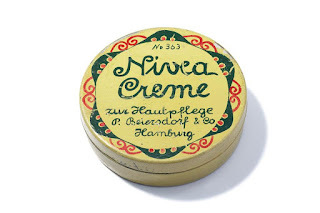 Nivea is derived from the latin word 'nix' or 'nivis' translated means snow! And you can see why... Its also around since 1911 and the original packaging was yellow and green! I picked up these little wonders at the beauty road show in the RDS back in March after seeing many many Bloggers and YouTubers rave about them and they are worth all the raving! I have a bad tendency to break out and these little dots have helped with my breakouts immensely. The idea is you use these over night. You simply place a dot (sticker) over the spot or pimple and it draws out all the nastiness and speeds up the healing. You don't only have to use these at night I know many girls who would use these at their desks. They are a skin colour so you wouldn't even know you are wearing them (I have often used mine on my day off going training) They do swell a little and turn a whiter in colour when working their magic. 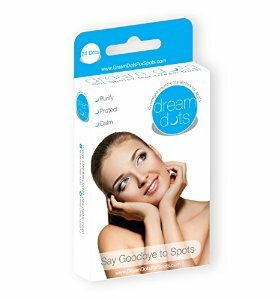 If you have sore breakouts Dream Dots will ease this too!! Winner!!! Like most ladies (without babies LOL) I'm sure you all keep a packet of baby wipes in your vanity. They have many uses not just for ourselves but around the house also. I normally buy the cheaper baby wipes, store brands. 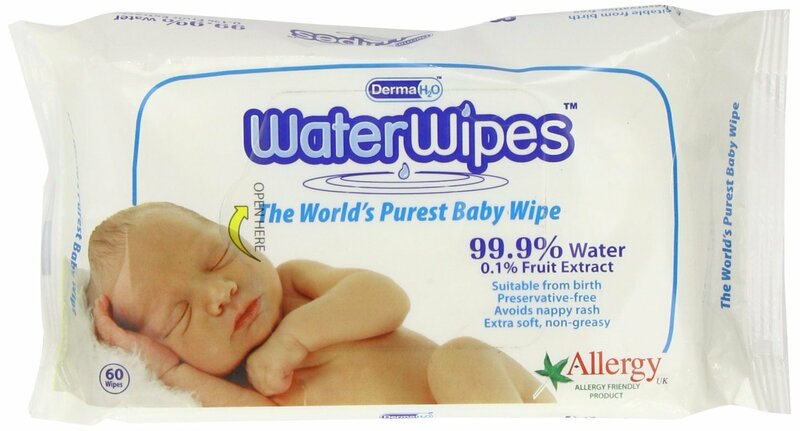 But I decided to give these a try when I see customers in work buy them in bucket loads when they go on offer and OMG I will never go back to regular baby wipes again. Now all I use these for are cleaning my hands after applying my makeup, cleaning my lips as I never can apply my foundation without covering my lips in it too LOL Because these are 99.9% water they are super super kind to skin I would freshen up my face with them too on makeup free days. These are super moist! I wouldn't take my makeup off with them but for everything else they're perfect. Water wipes are a FRESH product so they do have a 4 week shelve life after opening!! There is no chemicals in these to keep them going forever LOL so they are very kind to the skin. A firm favourite amongst many beauty bloggers and girlys alike and me included! THIS IS MY HOLY GRAIL CONCEALER for covering blemishes and helping with the full coverage I crave. On days I don't feel much like wearing makeup I would apply this in the areas of redness and breakouts. It comes in a range of shades in cool tones and warm tones. I have 3 different shades in my makeup stash. The best thing about this product is it is cheap as chips! I did research on this guys but there is not a a lot of information out there about Collection makeup formally known as Collection 2000 so I'll just let you know that the fact is I love this concealer. Following up from my ultimate concealer my turn to foundation is Rimmels Stay Matte. 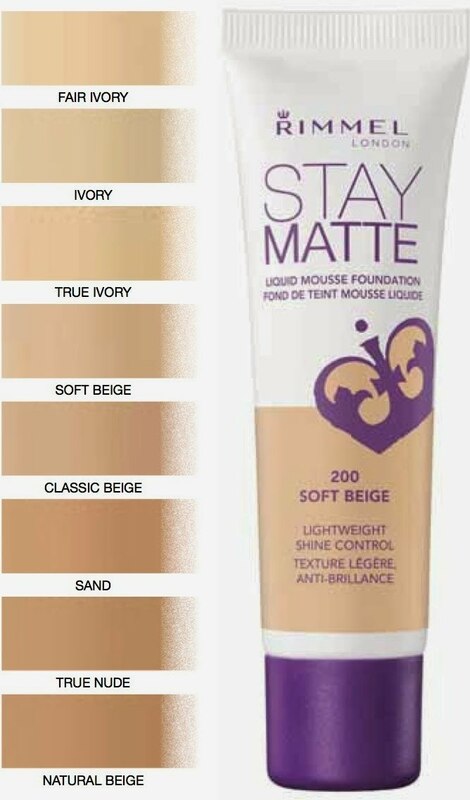 This foundation is always knocking around my makeup bag. This is a mousse like formula that blends into the skin like a dream. Its available in 5 shades over here and I wear 200 soft beige. I love the texture of this. I often just use my finger tips to apply this as its gives a full even application and doesn't take very long to apply. I repurchase this the most out off all my foundations!! Did you know that Rimmel is one of the worlds oldest cosmetic brands??... It dates back to 1834!!!!! Originally creating perfume ;). Ah Mac angel! I had been after this lippie for ages and for my 30th birthday I treated myself to it and actually wore it the night of my party. Its just the most perfect nudy pink shade in a frost finish that is not drying whatsoever! You would love this if you want something pinky and girly but natural looking. Plus it goes with everything! 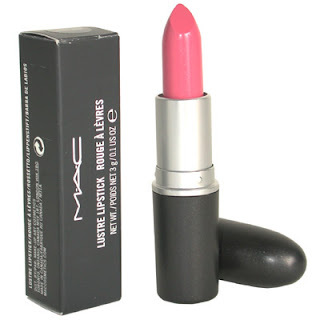 Did you know Mac is owned by Estee Lauder a company committed to quality skin care. Mac was homegrown in Canada- literally founded by beauty salon owner Frank Angelo in 1984 he wanted to develop a colourful cosmetic line that catered to his needs. And he did just so from his kitchen!! And look where it is now! Mac is definitely one of my favourite makeup brands!!! 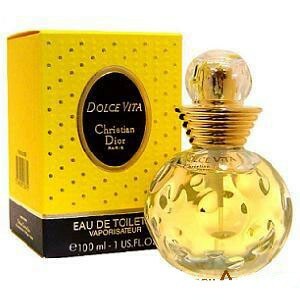 This is my ultimate favourite perfume! I discovered this when I was living in Waterford nearly 10 years ago! It brings me back to that time when I was only 21 and loving life (still am) I had just began my career in management, made great friends and was finding the woman I am today. And ironically this perfume is known as the happiness potion (I only recently discovered this). So this scent brings me back to that journey. I'm a lover of sweet perfume but this is not sweet. Its more a fruity scent that I love!!! There you have it guys! I included the prices of the products also in case you're interested I know I do be. All prices refer to boots apart from dream dots which are available online. I could do another list of 10 products I couldn't live with out maybe do a part 2... :). But for sure the above products I have a lot of love for and would miss them if I ran out! Thanks for reading guys. I love you all! !